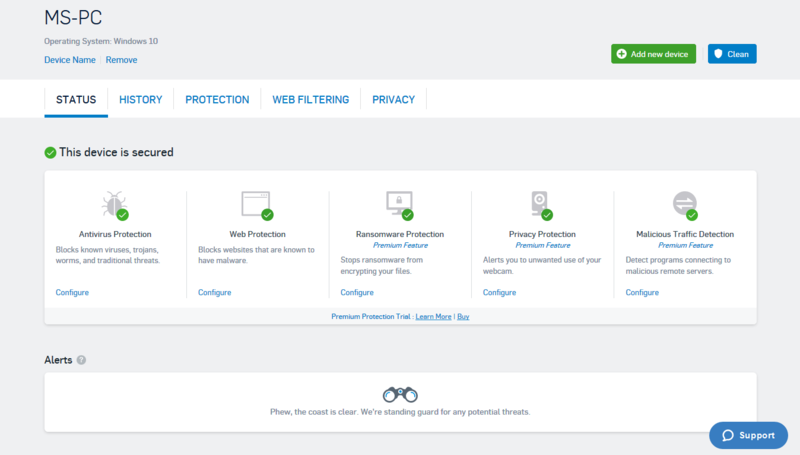 Home » PC » Antivirus & Security » Sophos Home Free Antivirus 2019 Review – Basic Protection for Windows 10. Best Free Antivirus Products for Windows PC in 2019 – Sophos Home Free Antivirus. 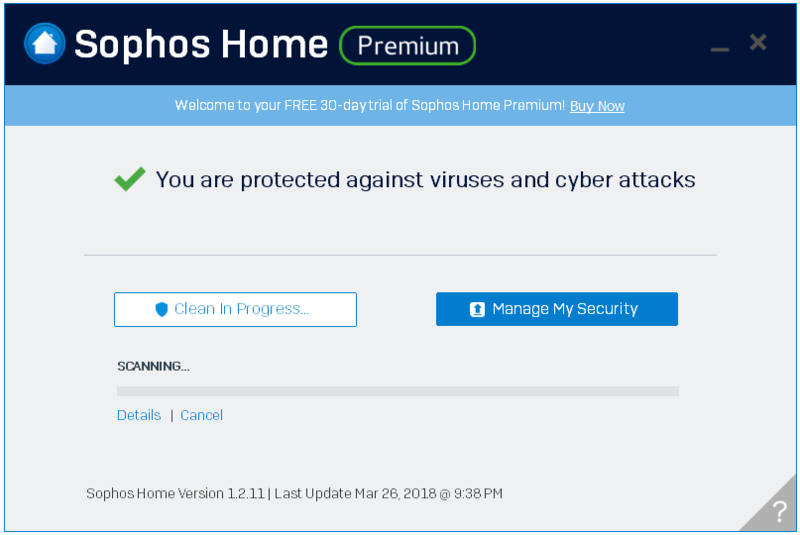 Sophos Home Free includes various important security related components that provide basic protection to your PC against all kinds of Malware. The Real-Time Antivirus provides protection against viruses, worms, trojans, and other types of malware. The Parental Web Filtering component lets you allow or block various types of websites on your computer. The Web Protection technology protects against known malicious, phishing, and other harmful websites. The unique Remote Management feature helps you manage the protection settings from an online Dashboard provided by Sophos. Virus Bulletin did not test Sophos in their most recent test. AV-TEST did not test Sophos in their most recent test. AV-Comparatives did not test Sophos in their most recent test. 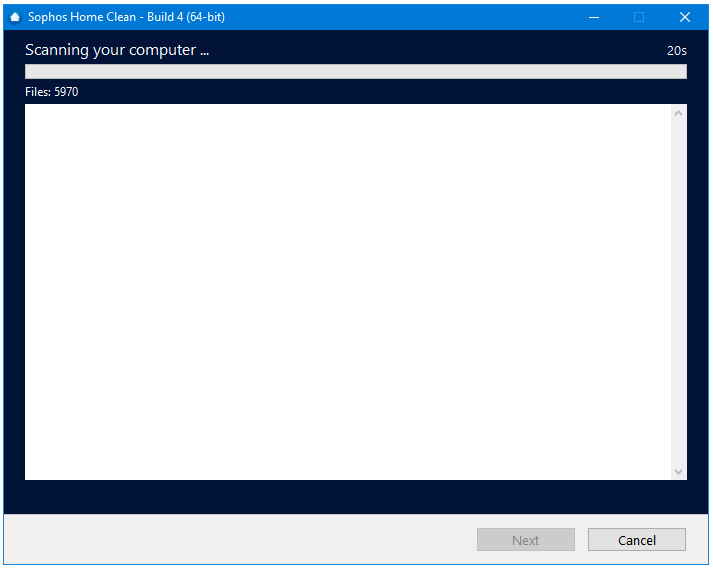 Clicking on the Clean My Computer button launches Sophos Home Clean, which is Sophos’ scanner. Sophos Home Clean uses the technology of Hitman.Pro. If you want to get real-time detailed reports about the scan then you can do that by clicking on the Details button in the Home window of Sophos Home. Sophos Home Free supports only the Full System Scan, and does not let you perform a Quick Scan, or setup a Custom Scan. However, you scan you files and folders using the Sophos Scan option the right-click context menu of files and folders. The Manage My Security button is a shortcut to your online Sophos Home Dashboard. Clicking this button will open your Dashboard in your web browser. The online Dashboard is much better-looking and more feature-rich than the local Sophos Home program. Here, you can actually see which features are available in which version of the program. There are five Protection features available in Sophos Home. Antivirus Protection and Web Protection are the only ones that available in the Free version, the other features, Ransomware Protection, Privacy Protection, and Malicious Traffic Detection, are called the Premium features, and hence are available only in Premium version of Sophos Home. You can click on the Configure button to configure the settings of each of the features. The online Dashboard has the following five tabs. You can click on each tab to get detailed information about that specific option. If there are any security related issues with your device then they will be displayed in the Alerts section of the Dashboard. Hard Disk Used: The Sophos Home installer is about 250 MB in size. After installation and an update, the Sophos Home Free Antivirus uses around 1.20 GB of the disk space. 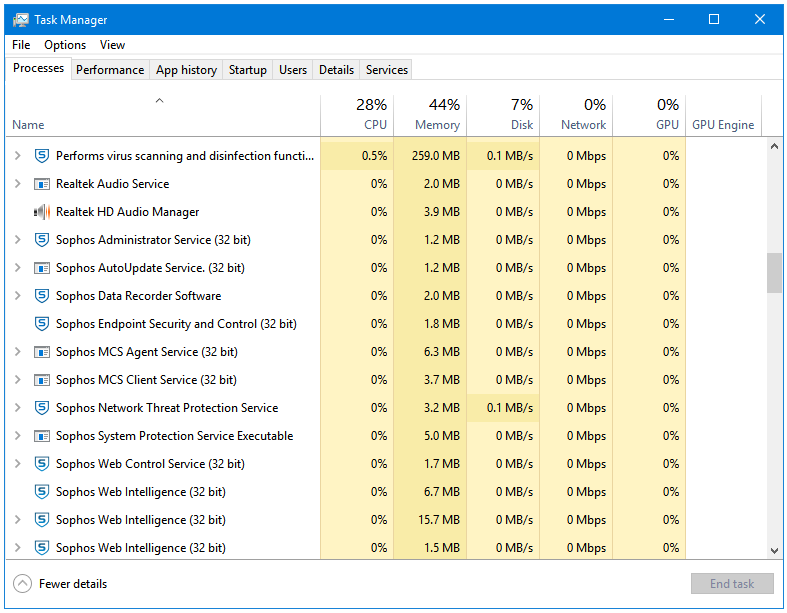 CPU and RAM Usage When Idle: Sophos Home has a lot of processes running in the background, and it’s not lightweight at all. 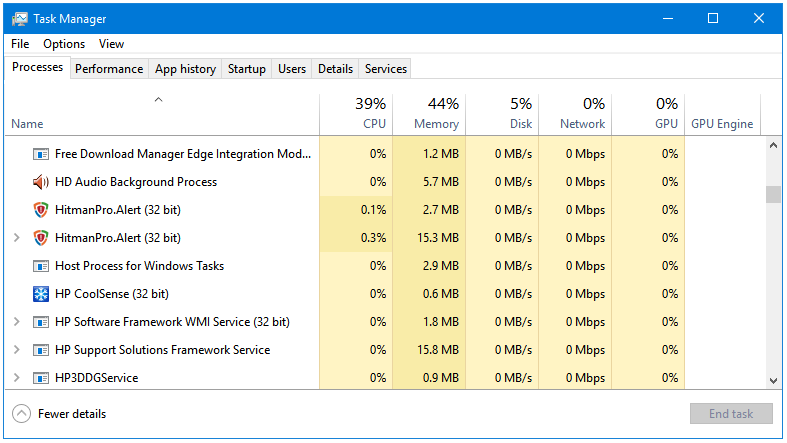 When idle, it uses around 330 MB of RAM. The CPU usage is stable at 0%. 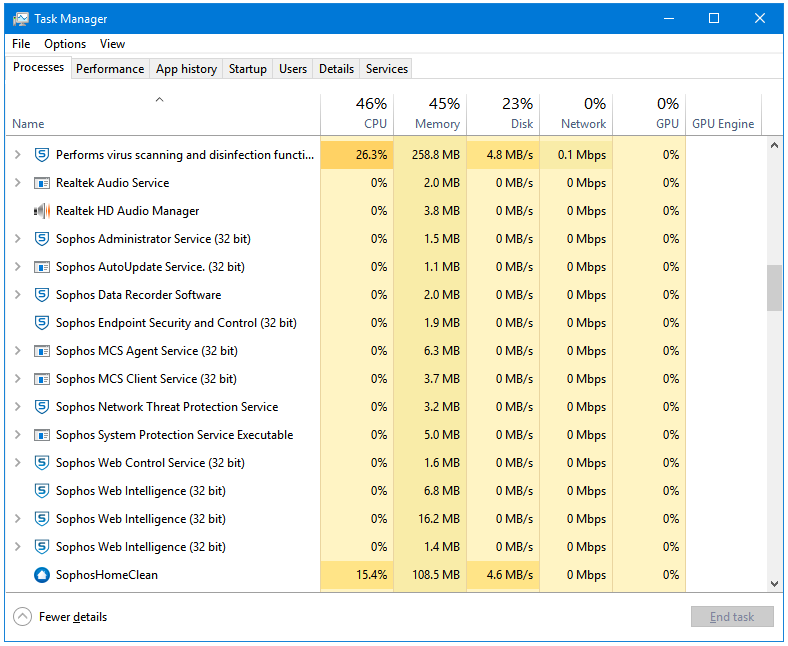 CPU and RAM Usage When Scanning: During Scanning too, Sophos Home is a resource hog, it uses around 420 MB of RAM while performing a full system scan. Two processes of Sophos Home use a good amount CPU power during scanning; these are Performs virus scanning and disinfection functions and SophosHomeClean. The former is stable at around 25%, and the latter at around 15%. So, the total CPU consumption in my case is stable at around 40% during a full system scan. You cannot get Sophos Home setup file by normal means. There are a lot steps that you to take to download the install file, however, the installation itself is very clean and straightforward. The uninstallation, on the other hand, is not that straightforward. No download portals have its setup file. All of them have an external download link that redirects you to Sophos’ Register page where you have to register yourself, and then log into the Sophos Home Dashboard to download your setup file. This is not user-friendly at all. Removing Sophos is also very tiresome. There is nothing in terms of features. You only have two buttons on the home window; one of them starts a full system scan, and the other one takes you to the Sophos Home online Dashboard. The debut version of Sophos Home was constructed much more rigidly. 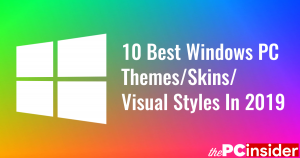 The overall design, fonts, and other UI elements looked much more refined. The program installer does have any third party programs or services bundled. However, the program itself is a nag. You cannot download and use the Sophos Home Free. 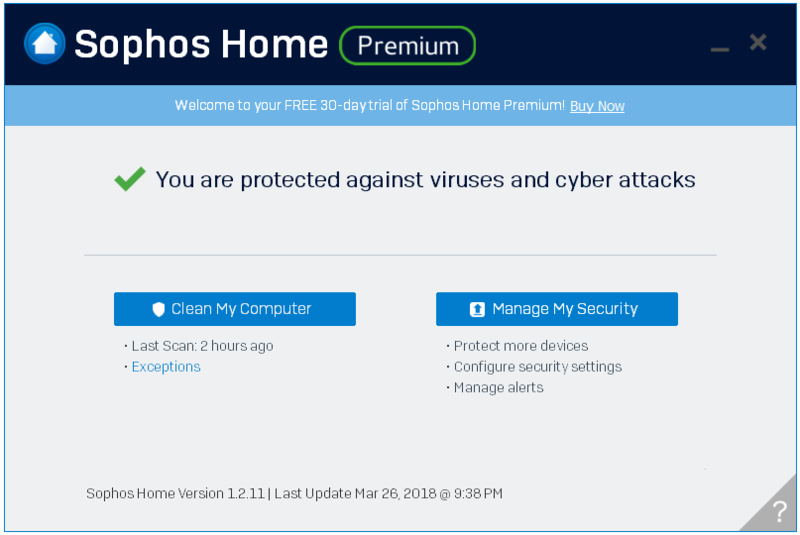 Sophos only provides the Sophos Home Premium setup, which becomes the Free version after its free 30-day trial. If I want to try the Premium or have aby intentions of buying, then I’ll myself try the Premium trial. But when I spend too much time and effort on getting your Free version then give me the Free version.